Needing to finance your next vehicle? 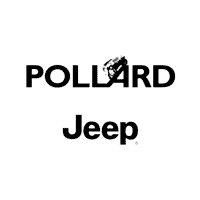 Contact Pollard Jeep’s Financing Center about Jeep Auto Loans! Our dealership offers competitive financing rates and terms on our inventory of Jeep vehicles. Our finance experts are here to help make the financing process as simple as possible. If you’re wanting to start the process today, fill out our online finance application! We want to see you drive out of our dealership in your dream vehicle. Serving Longmont, Denver, Loveland, Boulder and Longmont, Colorado.